The Jakes Gerwel Foundation and Tafelberg Publishers will commemorate Nelson Mandela’s 100th birthday on 18 July 2018 by relaunching the classic Madiba Magic, an anthology of folk tales selected by Madiba, at fifteen primary schools across the country. Experienced storytellers will visit schools in the Western Cape, Eastern Cape, and Gauteng to bring these stories to life – through dancing, storytelling and music. Learners will benefit further from a donation to their school library by NB Publishers. Primary schools included are: Kwa-Faku (Phillipi), Molo Mhlaba and Intshayelelo (Khayelitsha), Blue Mountains (Altydgedacht outside Durbanville), Westcott (Diep River), Mountain Road (Woodstock), Hillcrest (Mowbray), Wallacedene, Groenheuwel (Paarl), Tshatshu (King Willliam’s Town), James Ntungwana (Kwa Nobuhle outside Uitenhage), Kei Road Combined, Gilbert Xuza (Somerset East), Melpark (Melville) and Norwood Primary School (Johannesburg). The popular Madiba Magic, a special reissue for the Mandela centenary celebrations, is a feast for the eyes, and includes stories from Southern Africa and the rest of Africa – Lesotho, Swaziland, Namibia, Botswana, Zimbabwe, Uganda, Zambia, Tanzania, Malawi, Kenya, Nigeria and Morocco. This kaleidoscope of a book refracts Africa in its myriad facets and hues: the dizzying glare of the hot African sun, the blue haze of the mountains on the horizon, the wiles of the creatures, both animal and human. Here are to be found tales as old as Africa itself, told around the evening fires since time immemorial. Madiba Magic has sold more than 100,000 English copies in South Africa and is available in translation in countries like Sweden, The Netherlands, Germany, the USA, France, Italy, Mexico and Portugal. “Madiba’s great heart for children struck a chord with many people and this book reflects something of those ideals. These are the stories Madiba would have told,” says Michelle Cooper, publisher at Tafelberg. With Jakes Gerwel as director-general in the presidency of Nelson Mandela’s first democratic government, as well as his role in the selection of stories for Madiba Magic, the Jakes Gerwel Foundation is proud to be a part of this project in partnership with NB Publishers. 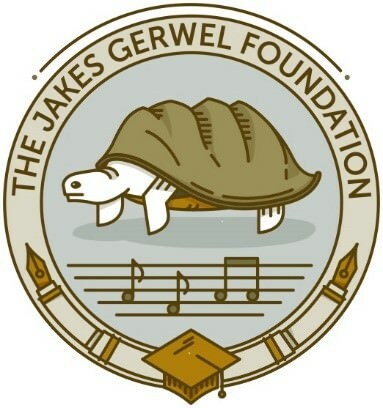 “The Jakes Gerwel Foundation is committed to promote reading and to expose learners to the wonder of books, and therefore we are honoured to partner with Tafelberg in this project,” says Theo Kemp, executive director of the Jakes Gerwel Foundation.